Harry and Ant went to the Chicago White Sox game last Sunday. But, before I get to that, I wanted to share a cute picture from our trip to Brookfield Zoo the day before. 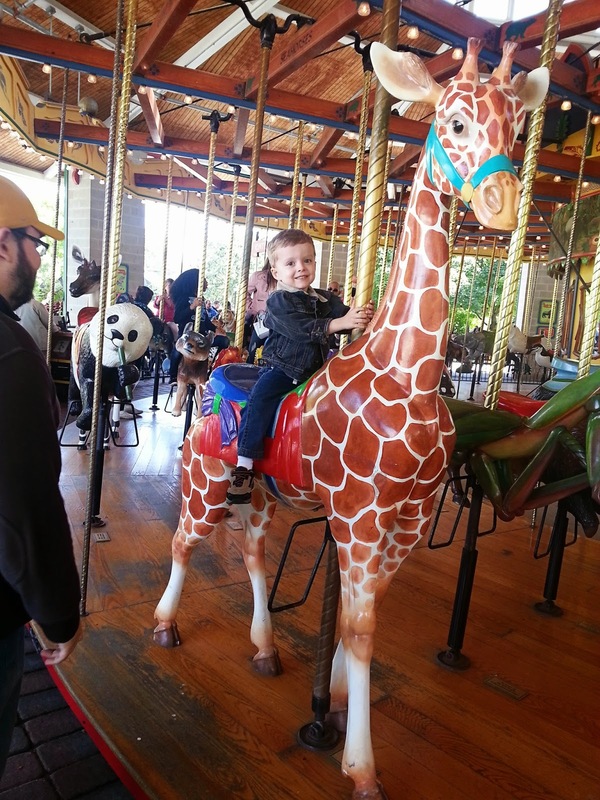 Harry kept telling us he wanted to go on the carousel, and the giraffe in particular, but we weren't sure how he'd react. Last time we tried he hated it! But, as you can see in the picture, he had a blast. We also saw the dolphin show at the zoo. Harry got a bit antsy, but he enjoyed it for the most part. Good thing it was only 20 minutes long! 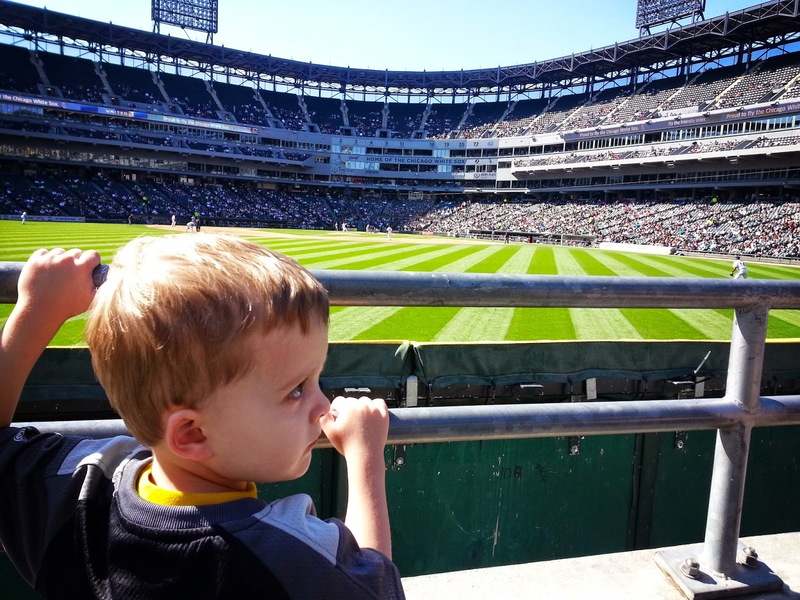 Sunday morning Ant made a game time decision to go to the baseball game. He'd been wanting to all summer and we just couldn't find a day that worked for us. He found some cheap tickets (front row bleachers!) on Stub Hub that included priority parking and decided to go for it. We had originally planned on deep cleaning and organizing Sunday so I decided to stay home and do just that. Not nearly as fun, but I got a lot done while they were gone. According to the boys, they had a lot of fun! 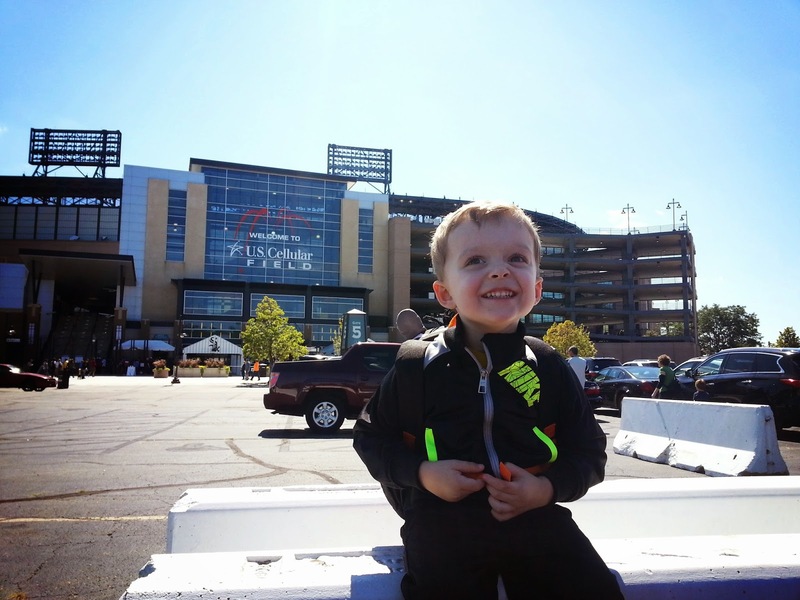 We took Harry to a minor league game last year, but this was his first experience with the majors. 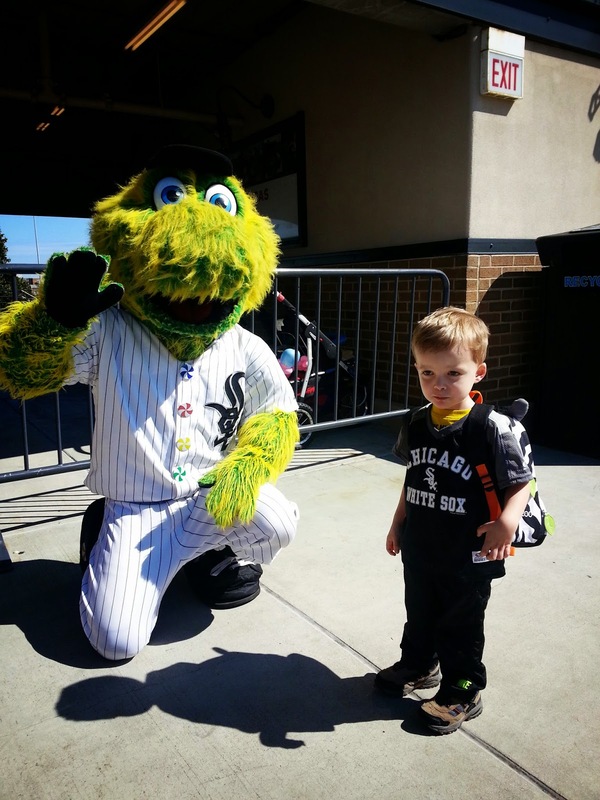 It was Kid's Day so there was lots to do at the Cell besides just watch the game. Here are a few pictures Ant sent me. He wasn't too interested in taking a picture with the mascot (can't remember his name...), but Ant said that Harry pointed him out as the "green guy" as soon as they spotted him and he gave him a high five. 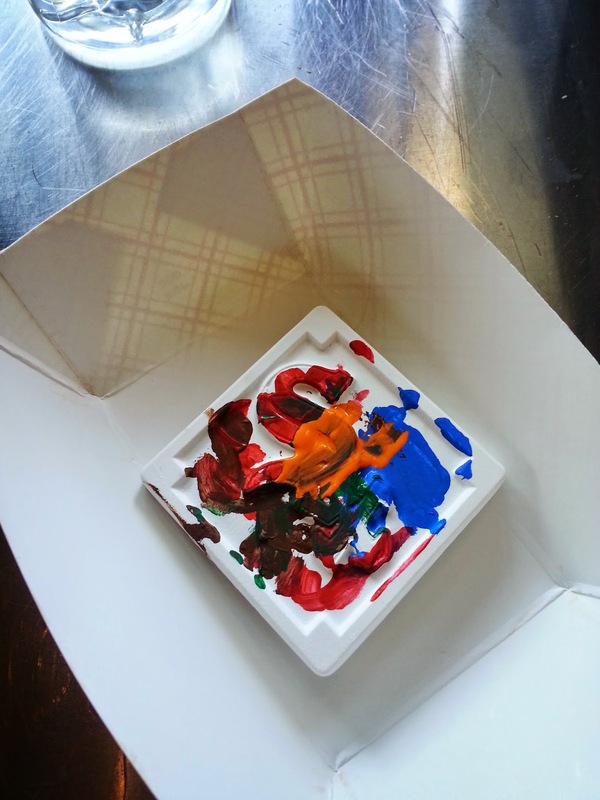 A cute little magnet Harry got to paint. I guess they had lots of little stations set up for Kid's Day. The Sox lost but the boys still had a lot of fun. Glad they got to go! And now Harry keeps asking to go to a hockey game, so we're thinking about going as a birthday gift.